Play your favorite music in small groups or bands. Sing in the choir. Try singing in a band. Genres like pop, rock, latin, jazz and (light) classic can be expected. Two circus tents and annexing forest and meadows will be our playing fields. Mornings, the choir will rehearse. Repertoire will be prepared by the conductor. Vocal-technique gets extra attention. If you prefer, individually. Invitations to sing in one of the music groups / bands can be expected. One of these rehearsals will take place in a local church. In the afternoons, music groups will rehearse and enrich favorites that participants themselves bring in, professionally coached and supplemented. 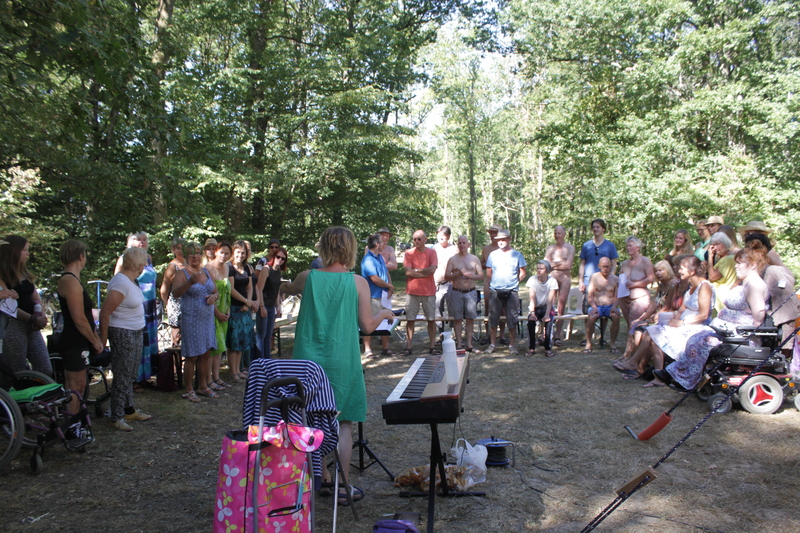 Guided and supervised by Pieter van Leeuwen, researcher and teacher of social professionals and volunteers on how to work with music. 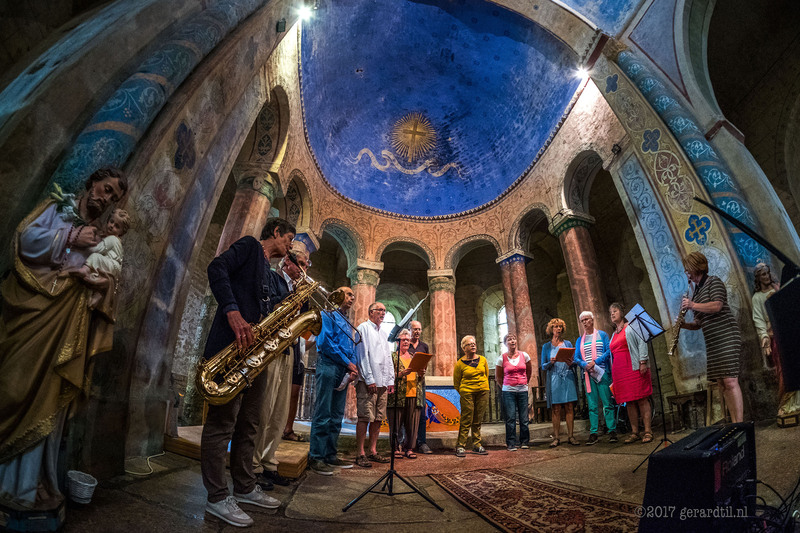 Anke Kuiper, musician (piano, saxophone) and teacher (piano) directs the choir. Performances will be organized, but the way to these is more important than the results. At night terrace, bar and restaurant provide an open stage. At the end of the week, there will be a final amplified presentation and an acoustic concert. Because participants from different countries are being expected, the main language will be (wrong) English. Our host is Creuse Nature, friendly and comfortable 4* naturist holiday centre in the green, unspoiled and sparsely populated heart of France. Situated in Boussac-Bourg (Limousin), some 200 miles south of Paris and also to be reached by public transport. In summer, weather is dry and warm but not too hot. Naturism means living in harmony with your environment. Nakedness is an option, not a requirement apart from swinging pools, sauna and hot tube. More on Creuse Nature. Price of this week’s program is €135,- per person. Children (minimum age is 13) and students pay half. More info or booking. Not included are traveling and stay. Creuse Nature offers stay from camping in your own tent, to the most luxurious glamping-tent or ecological house. At prices from €107,50 per person/a week. More info and Booking.